I am no pro at this...I have only been blogging for nearly two months now but there are a few things that I have learnt during this duration. Blogging has become a big part of me, I can forever write as it is something I enjoy. I have decided to create a series of posts where I post in detail about one blogging tip in each post. These should help your blog become more successful and hopefully bring more audience. 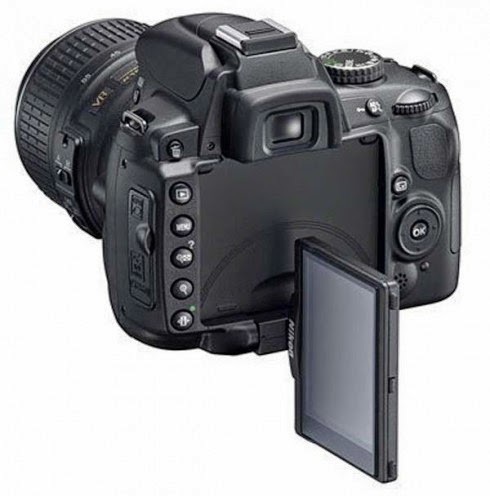 Photography - DSLR or Digital Camera? I have decided to start of with Photography and I believe there will a few posts on this topic as well as long reads! So let's get started! I can't stress this enough; photography plays a big part in blogging. I immediately find a post attractive and have a desire to read if the photos look clean, well edited, sharp and bright. Investing in a good camera is not a must as it is not the camera but the person behind the camera who puts the skill and effort as a photographer to capture those images. A camera will only do it's job - to take a picture. However you i.e the photographer is the main element and you decide how you want your photos to look. I did A Level photography in Sixth form therefore I have always been into photography. 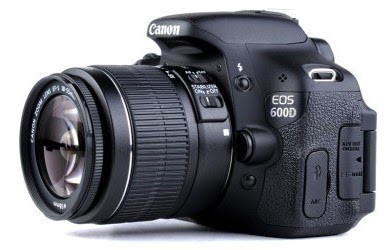 I already had a DSLR to begin with before my blogging started as I needed one for my course and I was lucky enough to been given a Canon 600D for my second year of Photography from my parents. Now this camera really seems to be the perfect camera for bloggers. It is very popular now! When this was brought for me it was around £650 with the kit lens however the price has since come down and it is available around £400 on Amazon. If you are in the market for a DSLR camera, I really recommend this one as it is perfect for a beginner and a hobbyist. Also it is not overly expensive compared to some. It also has a rotatable screen so if you are making Youtube videos it is perfect as you can see yourself while recording! However like I said it is not the camera, having a good quality camera is always a bonus but if you already have a good digital camera then I suggest you play around with that and see what kind of images you can get. If your camera shoots RAW images and has manual controls you are good to go. You do not need a DSLR! A good editing software and a good light source with an average camera is a perfect combination. Give it a try! I do agree a digital camera can be limiting so you decide what you need based on your needs. For my photography course, the first year for AS Level I started of with a Samsung digital camera can't remember the exact model but I am sure it is not available in the market anymore as this was 4 years ago, but I did come out with an A grade! So I am trying to say use whatever you have do not go out of your way to buy something only for blogging as you don't know if you will carry on with blogging or if it is something for you. If you are mega deadly serious or enjoy photography then yes go ahead and make your big purchase! Bare in mind a DSLR may not be travel friendly. I barely carry mine with me on trips and travels unless it's a big event just because it is so inconvenient. If I am going shopping I don't want to carry a DSLR and then on top have to carry 10 extra shopping bags! So after my Samsung broke I mainly used my Iphone to capture photos on the spot. However this year when I started blogging I realised how I needed a better quality camera as I travelled a lot and really wanted to capture those moments with good quality images. Also because I had Paris planned and a few more holidays coming up towards summer I thought it was the perfect timing to make a purchase so I went ahead and brought the Canon S120 from Jessops. 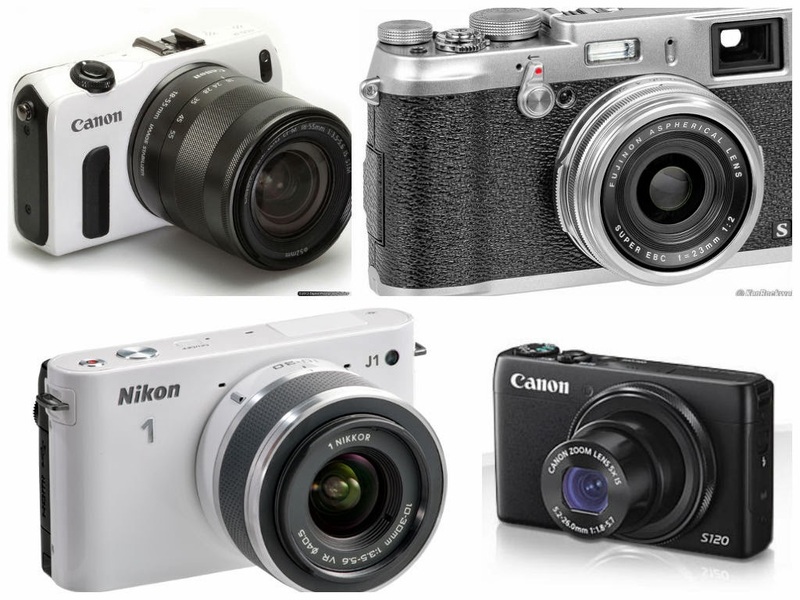 There are plenty of travel friendly compact system cameras which I can recommend such as the Canon Eos M, Sony Nex 6, Fujifilm x100s, Sony Rx100, Nikon J1, Canon S120 etc. These are practically a DSLR but with a compact system body so they are just a bit bigger than a pocket digital camera with a lot more settings but a lot smaller than a DSLR. They have manual controls and they have the option of shooting RAW and some of them have interchangeable lens while others don't so you decide what type you want. I do like having the choice of changing lenses because it's just more versatile and more flexible. Lenses play a big role as well, I will go into detail about that on another post. I maybe biased towards Canon as I love that brand! I would recommend you to go out and hold the camera of your choice and check out its settings and menu panel before buying so you know how it feels and how heavy it is. Also just to give you the feel of being in control of a big camera and to see what the quality of the images are like. Your welcome! Thank you for visiting!